If having a fence installed is on your to-do list, then hire a fence company that is known for their experience and exceptionality to do the job. 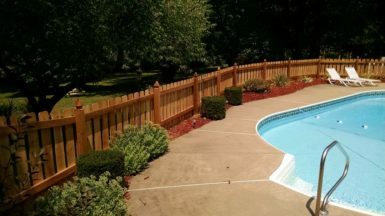 In the Columbia, Illinois area, Chesley Fence & Deck is proud to be that company. We have expertly served the region for decades, providing homeowners like you with only the best of the best. 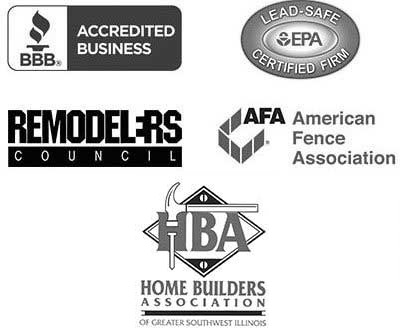 In fact, we have been recognized for our expertise and commitment to excellence by more than just our community, who has chosen us to install more fencing than any other fence company in the territory, but also by such organizations as the Better Business Bureau, with which we maintain an A+ rating. What’s more, we are dedicated to meeting your exact vision for your fence. We will help you select the best fencing option to suit your style preferences and budget requirements and configure it in any shape you desire. For more information on why we are the fence company of choice in the Columbia, IL area, contact Chesley Fence & Deck today. My fence looks great! Thanks for the super great job!